Posted	 May 23, 2015 by	Sikh Dharma Ministry & filed under Around the World, Ministry. 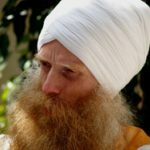 Quinta do Rajo is a beautiful ashram created in the tradition of the Sikh Gurus and Kundalini Yoga as taught by Yogi Bhajan. It offers the opportunity of an experience in harmony with nature and within a spiritual community. Training, workshops, classes and events are held on various and specialized topics. We recommend and support a natural and vegetarian diet. Through the process of living together and co-creating our environment a bright spirit is awakened, strengthened and supported by ancient techniques and healthy practices. This leads to rejuvenation of the whole Self. Quinta do Rajo concentrates spiritual teachings and balancing challenge with inspiration, providing a true invitation for one to become whom one is meant to be. Quinta do Rajo is in Santa Susana, a village located between Ericeira and Sintra, about 45 minutes, by car, from Lisbon. We are surrounded by countryside, overlooking the valley of the Lizandro river. In the area, there are rural villages merged in a landscape of deep valleys and high hills. Quinta do Rajo receives people who wish to offer seva (voluntary service) for a minimum stay of six weeks. We offer back free food and accommodation as well as a friendly and welcoming community environment. Volunteers may participate in our regular classes or spiritual activities on a donation basis. This is a very special and interesting opportunity for people undergoing a changing process or who feel the need to take a break from their routine and to get closer to Nature. The Association Ram Dass Guru (ARDG) is a non-profit organization, established in March 2013 with the aim of bringing the teachings and practice of Kundalini Yoga to those who can benefit from them, but who can’t afford to pay for them. Other cultural and sports activities can also be promoted by ARDG, according to the availability of human resources and according to the needs found in the community. The activities are carried out by certified teachers to whom are only given donations to cover travel expenses. Therefore, the Portuguese teachers also support this project. Its activity is already taking place regularly, for example at the Farol institution, an organization near Sintra (Portugal) that is a shelter for addicts. Free classes of Kundalini Yoga are taught as well as Mith-a-Drama sessions.